Du Bohneur is a beautiful Patisserie located on Brunnenstrasse, a super pleasant area near Arkonaplatz (on the edge of Mitte and Prenzlauerberg). When we first moved to Berlin we had read about this place on one of the cool Berlin blogs and as it was close to where we were initially living we decided to give it a go. Not only was it a great find, but it has also become one of our favorite places for delectable sweets in Berlin. Better yet, over that time we think that they have become better and better. And they were great to start with!! 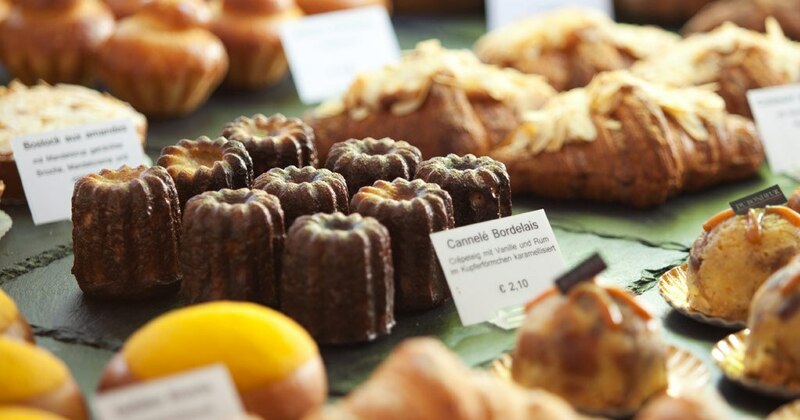 Not only are the Cannelés sensational. Everything we put in our mouths at Du Bohneur is super delicious. We have even ventured into breads and sandwiches. All great. With that said, you can totally feel the love they put into making the tarts, croissants (almond! 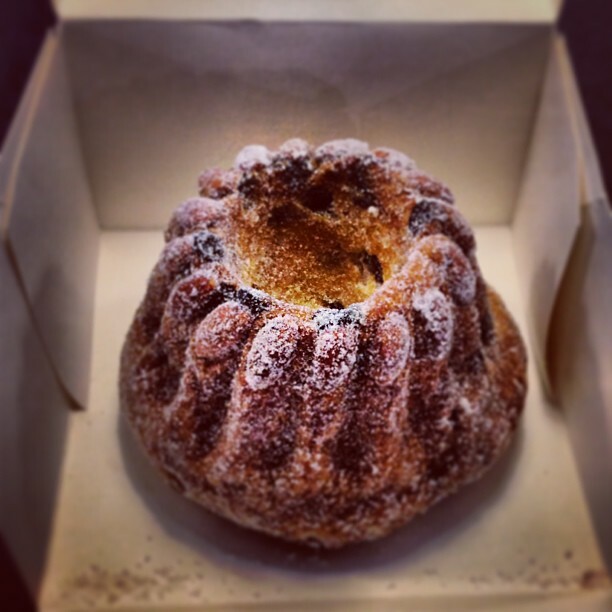 ), macarons, kugelhupf (featured in the picture above) and yes, the Cannelés! We cannot get enough of those. Delicate and moist. YUM! Their coffee is good, too. A great idea is to pair a visit to Du Bonheur and a stroll through the Arkonaplatz Flea Market (happens on Sundays all year round – summers are busier, of course). Another option is to find out what’s on at Kaufhaus Jandorf (an abandoned department store turned into event space) and pay it a visit before or after stuffing yourself at Du Bohneur! Delicious casual dining experience in Prenzlauerberg.